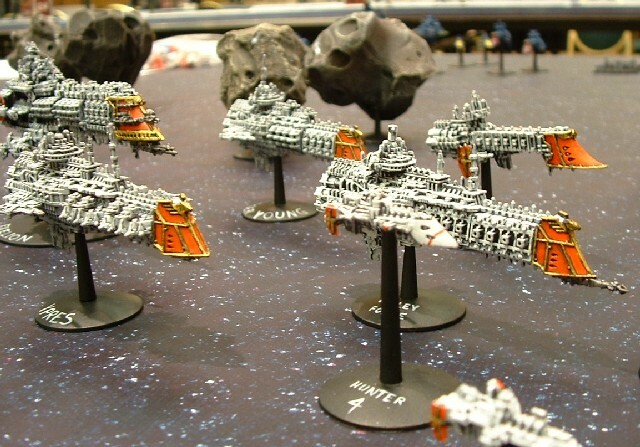 I painted these guys up over about a two week period right before GW's 2003 Grand Tournament in Dallas, Texas. 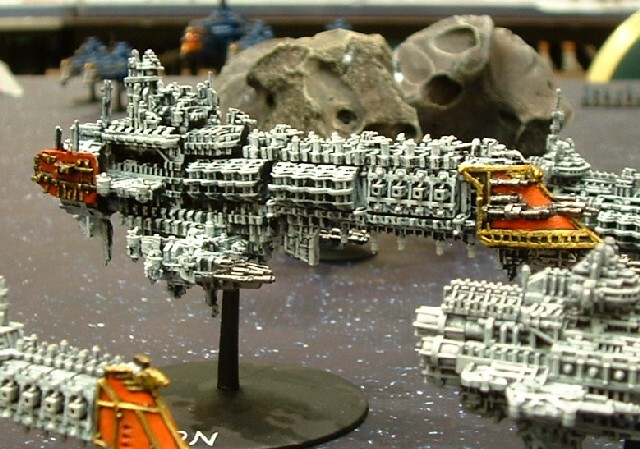 Seems like everybody else had a similar idea; IIRC, about 80% of the fleets involved consisted of Imperial Navy vessels lead by an Emperor class battleship. 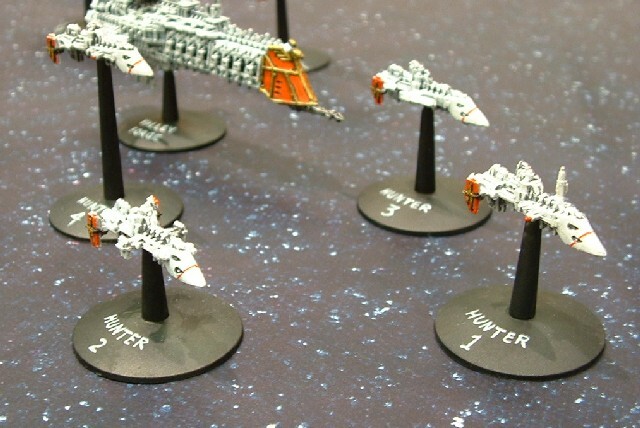 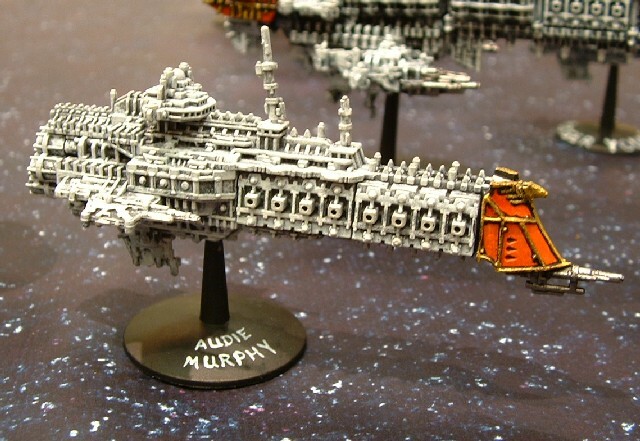 There were also an Ork fleet, an Eldar fleet, and one Armageddon Task Force lead by Space Marine Battle Barge. 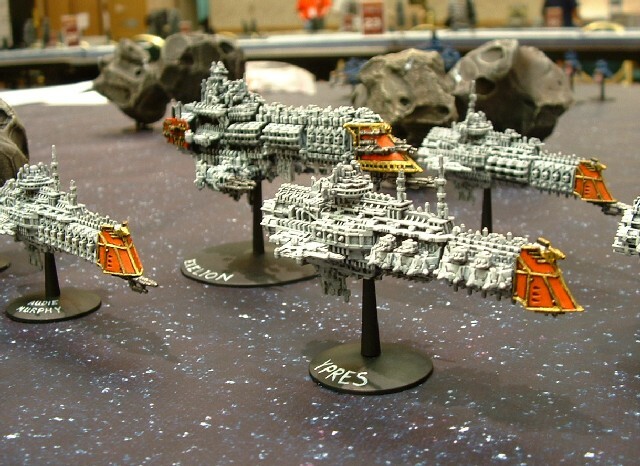 Somebody set up us the "Battlefleet Gothic" page on 16 March 2004.